Whether you’re at uni like me, school or work – it can all be a bit stressful sometimes. Lucky for me this year I managed to dodge the exams but the countless essays sure are just as nerve-wracking. Despite finishing my second year, the stress hasn’t subsided as I dive straight into my dissertation so I’m all prepped for when September comes around again. Lucky for me, at my uni Amazon Student have given away the perfect bundle for a stress-busting evening with all my bezzies. My favourite way to destress is to put on a great movie to take my mind away from things – Amazon have a great selection to rent online, and snuggle up under some blankets. Chuck in a few fairy lights candles and facemasks and you’re good to go! Don’t fancy a movie? Here are my other top 5 options if you’re looking to take a break from work and clear your head..
Go for a walk, soak in the fresh air and sunshine! Read a book – not to do with your work! Meet up with friends for a coffee. If you’re away from home, give them a call. Have a long soak in the bath! 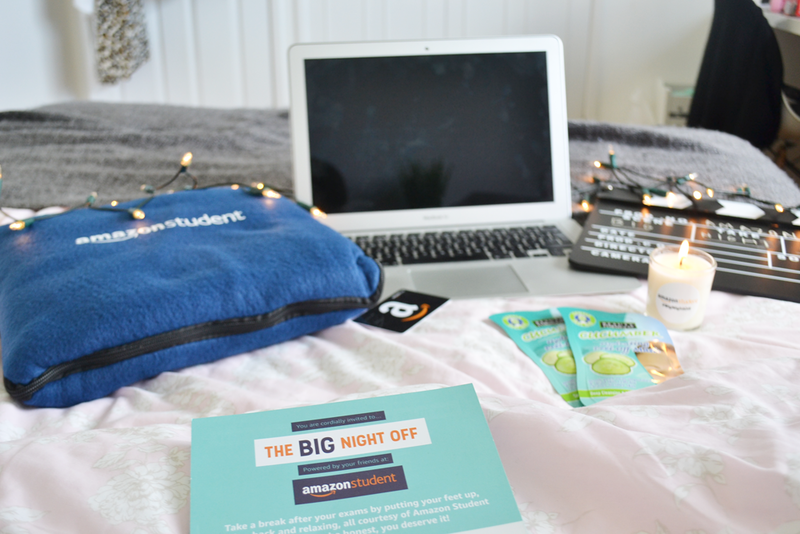 I’m entering Amazon Students #BigNightOff competition over on my facebook, where I could be in for a chance of winning up to £250 (Totally got my eyes on some soft lights), if you fancy helping me out please go and give it a like below – I’ll be forever grateful! 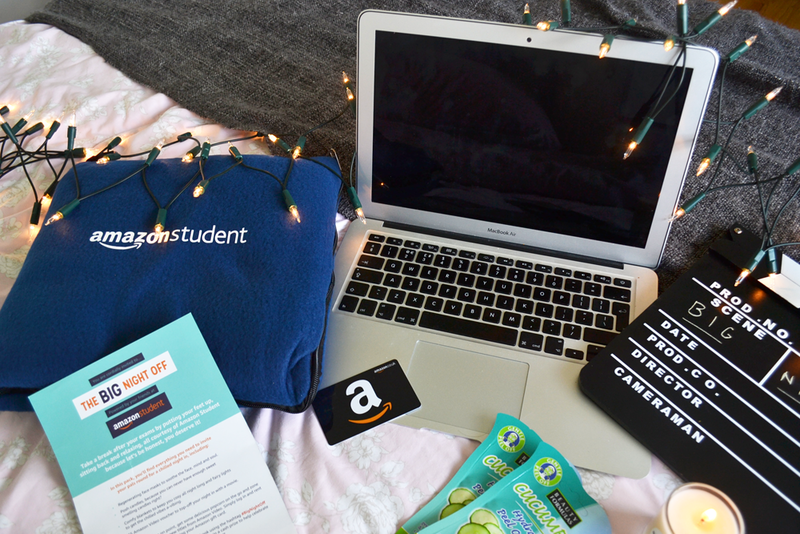 All items were kindly gifted by Amazon Student for this post.